(Jakarta/Bangkok, 11 June 2018) – The Asian Forum for Human Rights and Development (FORUM-ASIA) congratulates Indonesia on its successful election as a non-permanent member of the United Nations Security Council. Gaining 144 votes during the elections on 8 June 2018 in New York, Indonesia competed against the Maldives, which secured 46 votes, to represent the Asia Pacific group as a non-permanent member of the Council for two years starting from January 2019. This is the fourth time Indonesia is holding the position; it was previously a member of the Council in 1973-1974, 1995-1996 and 2007-2008. As a new member of the UN Security Council, we urge Indonesia to uphold its duties to realise its commitments to promote and protect human rights, peace, and social justice within its territory and the rest of the world. When presenting itself as a candidate, Indonesia elaborated on its active role in the promotion and protection of human rights in the country and through the Association of Southeast Asian Nations (ASEAN). It also boasted about its fostering of a culture of transparency, openness, and accountability to uphold democracy, as examples of its credentials to support its candidacy. Despite some improvements on human rights, there has been an increase in discrimination and violence against minority groups in the country. Such discrimination has occurred due to the numerous national and local level laws, which perpetuate violence and negligence of fundamental rights. Examples include the Blasphemy Law No. 1/1965, which has been used by individuals and religious extremists to discriminate and persecute religious minorities, and Qanun Jinayat No. 6/2014 to criminalise minority and vulnerable groups, such as Lesbian, Gay, Bisexual, and Transgender (LGBT) people, particularly in Aceh Province. During the visit of the United Nations High Commissioner for Human Rights in February this year, FORUM-ASIA, together with other civil society organisations, expressed its concerns over the number of human rights violations experienced by human rights defenders, who work on various issues such as corruption, women’s rights, land rights, and environmental issues. All of these concerns remain unaddressed due to the culture of impunity that persists in the country. 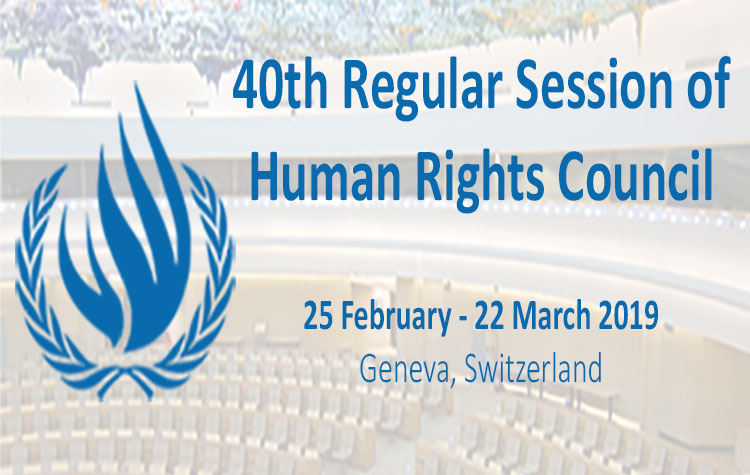 Indonesia also needs to take a more active role in fulfilling its international obligations to respect and protect human rights as guaranteed in international human rights laws. . Local civil society organisations have stated that Indonesia has shown a lack of commitment towards implementing the recommendations received during its Universal Periodic Review. The country has also shown low rates of engagement with UN treaty bodies. As one of the newly elected non-permanent members of the UN Security Council, FORUM-ASIA hopes that Indonesia can realise its mandate to promote and protect peace, social justice, and human rights in the country and the world. We therefore call on Indonesia to uphold international human rights standards and address serious human rights issues faced in the country and beyond. With the attention of the international community on Indonesia in the coming two years, the country has to implement its promises, enshrined in the 2015-2019 National Mid-Long Term Development Plan, known as Nawa Cita, to assure and provide security to all of its people, and to promote and protect human rights based on its Constitution and international human rights norms and standards. To download a PDF version of this statement, please click here.